Registration for the first class of Set Up Shop for 2016 is now open! Join me for Set Up Shop in February. This class is awesome. Best investment I’ve made in my business. What is Set Up Shop? It’s a 30-day e-course that will teach you exactly what you need to know in order to set up, or overhaul, an online shop for your handmade goods. I’ve had the honour of guiding over 500 creatives through this course over the past three years, and I’m looking forward to helping you create or turn your online handmade shop into something that you can both be proud of, AND that sets you up to actually bring in sales and grow your business. In this course, I’m teaching from a place of hard-won experience – I’ve done what I’m teaching you, and I have a successful online craft business that supports me and my little family (and employs both me and my husband). I am also a university-qualified teacher, so I both love to teach, and I have the education and experience to guide you through this learning process with the aim of helping you to create concrete outcomes. 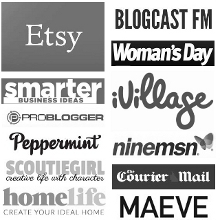 I have (and am still) ‘walking the walk’ of running an online handmade business. I’m right there in the trenches with you, every single day. This is not something I theoretically know how to do – it’s something I’ve done, and continue to work on. I’m still learning what works – and what doesn’t – and I pass that knowledge on to my students. I know the system I teach in Set Up Shop works. How? Both because my students tell me so, and because I used what I teach here to get my own business up and running. I created this course because I’m passionate about sharing what I learn, AND about helping others to realise their dream of having a successful craft business – because I want you to enjoy the freedom, joy, and fulfilment that comes from doing just that. Registration is open now, and will close midday Sunday the 31st of January AEST (that’s Australian Eastern Standard Time!). Class begins Monday the 1st of February, and runs for 30 days. To find out exactly how the course works, the options you have for Membership, and what we’ll be covering, head on over to the course page here. If you’re worried that you won’t be able to afford this course, because you’ve seen all the super-expensive courses that are out there – don’t be. The entry level Membership to Set Up Shop is just $85* – because I want every single person who needs this course to be able to afford it. I want YOU to be able to invest in this course and experience the huge positive changes it can help you make in your life and business. If you are in the United States, the UK, or Europe – there has NEVER been a better time to take the course. I sell this course in AUD, so with the current exchange rates, you guys are getting a HUGE ‘discount’ on the price of this course. As I type this, for example, that $85 translates into around $60 USD (and 54 Euro, and 40 Pounds). No kidding! 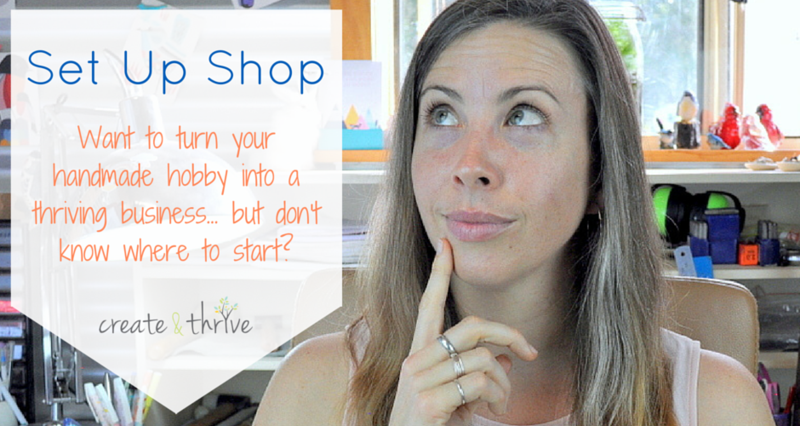 It has been eye-opening and inspiring and I can say, wholeheartedly, if you are thinking of opening up an online shop this course will save you so much time and frustration. Plus, you’ll meet a host of other talented, helpful creative types. Money so very well spent! I hope you can join us and get your shop up and running in 2016! Set up Shop has been the most productive 30 days I’ve had in my business so far. It has given me the opportunity to reflect on what I am doing, consolidate and reaffirm what I already do well and give me the push I needed to put into practice processes that will help me to grow my business further. The daily lessons have been thought provoking and provided me with a clear series of action steps that I was able to work through at my own pace. These together with the incredible support and shared knowledge provided in the private facebook group have really proven to be incredibly rewarding. I am so glad that I signed up for the course and can’t believe that I even hesitated to do so. It is a small investment to make for such big benefits. I have found your course amazing and it has given me the knowledge and courage to do this. The help, knowledge and ongoing support shared by fellow like minded creatives also participating in your course through the facebook page has been invaluable and a source of inspiration. So thank you Jess for creating this wonderful course and sharing all your know-how with me, I really have appreciated it. Loved this course… Really makes you think about your business & gives you a big kick up the bum to help achieve your goals… Now writing this, I think I need to go over it again so I can see how far I’ve come!! Thanks Jess – so great speaking with you and being a part of your fabulous Create & Thrive e-course. Participating in the e-course made me feel more connected to a creative community of women and tapping into both yours and their Australian and overseas business experiences, was so enlightening. It’s great to learn from someone who has done it and is current right now, working in their own creative business too – all from your at home studio/office and on the road too – fab! Love what you do, mixing it up with your Epheriell jewellery designs, simply beautiful, together with your Create & Thrive business concepts and teaching methods – just so easy to follow with really useful practical information and lots of common sense too. I am now better equipped to work on and in my business, having shared in the Create & Thrive experience, and I am so looking forward to kicking it up a notch, nurturing my business along and watching it grow. Thanks for your inspiration, energy and extraordinary desire to help others in the creative industry, to get it right.